I’ve only had it up to 45 mph since im waiting on a sticker to hit the open road, but its extremely stable on the road and on sharp turns. I regrooved the swampers so it is bumpy, not to mention they are not balanced. A new set of tires would be much better at high speeds. I spent way too much money on tires last year between my RV, truck and trailer so I am milking the Swampers a few months. Last edited by RalphDogg; 02-27-2018 at 07:42 PM. Are you interested in a set of tires on tracker wheels? dont think the wheels are corroded on the outside, that’s dried up mud. 2 of them do leak down over the course of about a week and a half (I think they have corrosion around the bead). Not really beat up either, with some elbow grease these should clean up well. Came off of this gem here (fenders coming soon). Don’t get jealous... lol!!! I really don’t have a use for stock wheels because of the backspacing. Are those 16” wheels? That's a cool tracker. Great work! And your mom is so nice because she helped you. 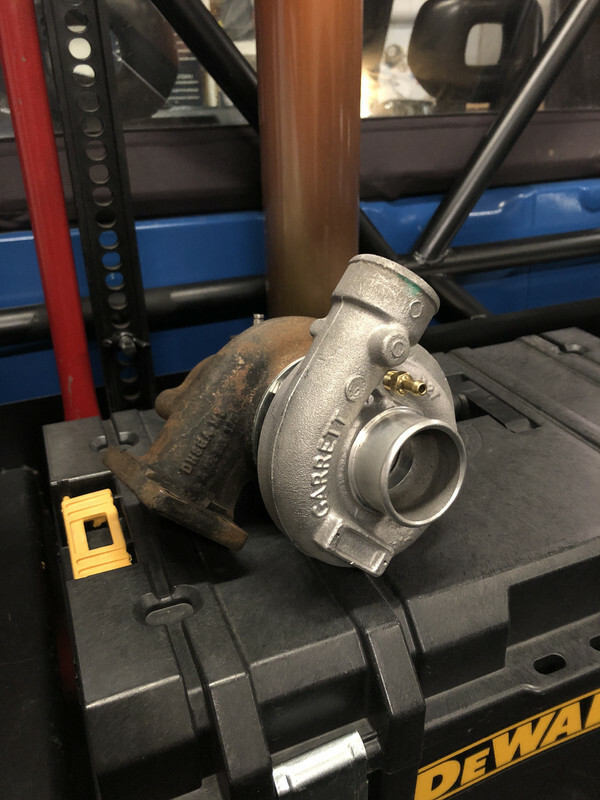 In Misfit form I picked up a turbo from a 4 cylinder Perkins Diesel. I plan to run around 4-6lbs of boost to add a few horsepower to the already powerful oil burner. I will be collecting more parts and making the rest. Stay tuned. You do a diesel swap on it? Sorry little correction. 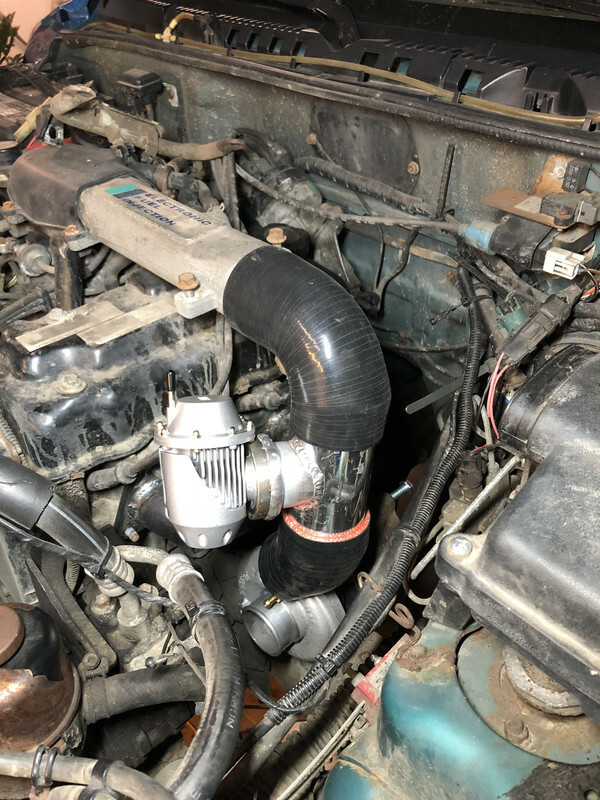 The Turbo is from a Perkings Deisel, Im keeping the Suzuki engine just adding the turbo. Last edited by RalphDogg; 10-30-2018 at 09:58 PM. I guess it’s time for updates on my boosted Tracker. Try to keep up if anyone is out there listening. 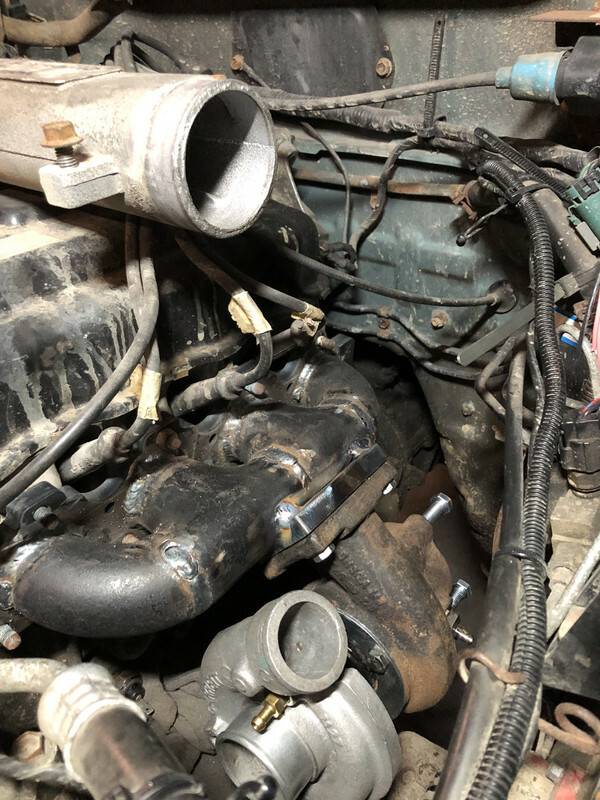 Im now working on the intake hoses with a blow off valve. My setup is not going to have an intercooler, so the turbo blows directly into the intake. 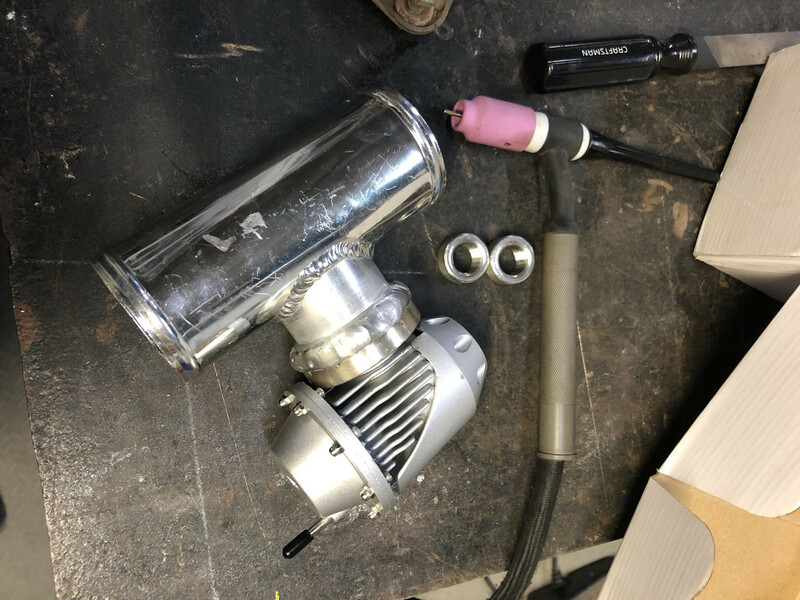 The BOV is a generic HKS that I picked up cheap, and also scored a 2.5” aluminum pipe for yet another turbo setup. I welded those two together to make my in line BOV. Rule of thumb is to always use silicone intake hoses to avoid hose breakdown from oil deposits. eBay seems to be the place to buy any turbo related stuff. Last edited by RalphDogg; 01-12-2019 at 05:46 PM. 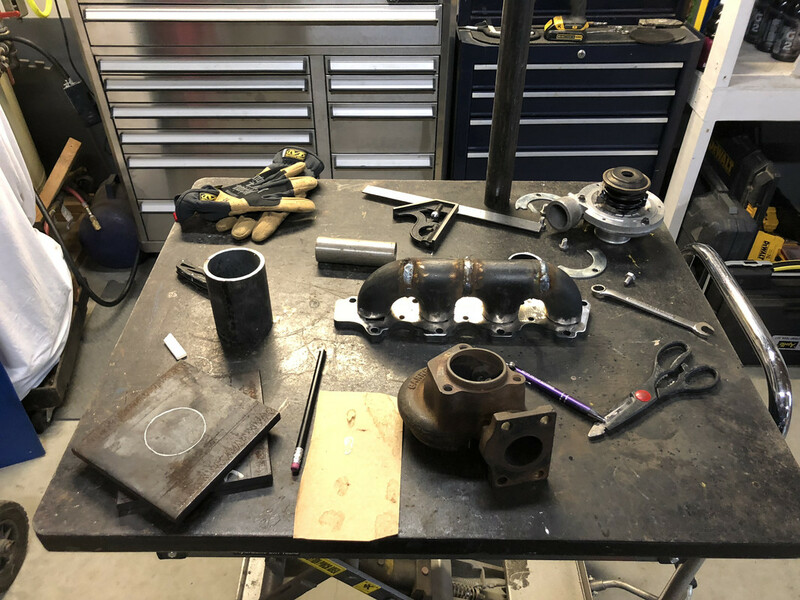 See if you can find a turbo manifold I can modify or something I can molest to mate your turbo up.